Our vision is to take groups of young people, 9-17 years old from a diverse range of backgrounds onboard a ship that we have designed for this purpose and want to get build. Through the challenge of sailing & land based adventures they will gain lots of life skills and discover new horizons. A range of longer ocean voyages and shorter coastal trips aboard our purpose build sturdy training vessel will provide a uniquely powerful and extremely effective environment for the personal development of young people from all walks of life. Although we already have some great supporters and a sponsor in the Deutsche Bank, a lot more help to get this of the ground is needed - would you also like to see this project become reality? Head to how to support to find out what you can do to help. "My father and the sea were the best teachers I have ever had. And I want to pass on exactly these experiences that have shaped me so much, "says Laura. And where could a passionate sailor like her do it better than at sea? "We want to bring together young people from very different social classes and sail with them," Laura explains the concept. "They learn to take responsibility, they have to face the forces of nature, operate the boat, navigate, cook, repair equipment. This will be hard for some. But only what challenges you makes you grow and helps you to discover your self-confidence, your interests and talents." Laura speaks from experience. She was often told as a child that she should not do certain things or that she was too young, especially with regard to her circumnavigating the world. The Dutch Childcare, the media and even the Dutch Government wanted to keep her from traveling. "I am convinced that many young people have much more potential and capabilities than the older generation is aware of." Up to twelve children, divided into different age groups, can participate in the programs which Laura wants to run aboard the new ship. They travel to many areas in which Laura was also during her solo world voyage: From Spain or Portugal through the English Channel to Norway and then across the Shetlands and Orkney Islands to the Netherlands. This Europe route is for younger children who stay on board for only a few days or a week. Teenagers between the ages of 13 and 17 can also take part in an Atlantic crossing: from Portugal they travel across the Atlantic Ocean, past the Canaries, Cape Verder through the Caribbean to the Azores and back to southern Europe. However our main focus is building confidence, determination, team work and responsibility as these are very important things in life. These are some of the core skills we will teach, but there will be many more - which are mentioned under Education Goals. We want to help them understand that we can be more independent than what we often think. The brand of our clothes, the latest phone, computer game or whether we act cool and up to date are things we do NOT depend on to have a place in this world! We can live independently of that kind of pressure. We're not against social media, smart phones and internet, and don't intent to teach that phones and internet are bad, we simply want to show how to actually live with them in a healthy way. In fact they can be very useful, but even though a three year old can understand how to work a smartphone, it seems that most of our society hasn't learned how to keep modern technology from hacking our brains. Onboard they will see it’s possible to live without this technology and how many doors this opens, it will give them the opportunity to learn how to use modern technology as a helpful tool rather than a necessity. We also believe kids have many more abilities then we often think yet don’t use them because they hear the words "You're too young for that!" or "You can't do that!" too often. Laura knows all about this. Only the challenge will show, whether one is capable or not, and often it's just a matter of practice and exercise. There's a lot more independent capability in young ones, than many have found out! We will give them the opportunity to learn about their personal abilities and boundaries while still in a protected environment. Being able to have a good relationship and communicate well to people around one self is very important. Having a self centred attitude is destructive - because we depend on each other even more than we depend on nature - people and nature are our primary environment. So to act respectfully with each other and work/live together as harmonically as possible is of great value for a long, happy and healthy life. 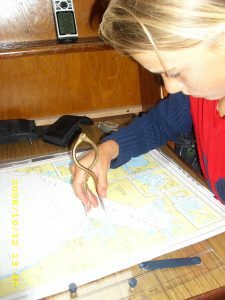 We believe sailing is a great way to learn and the ocean is a master teacher when respected and understood. 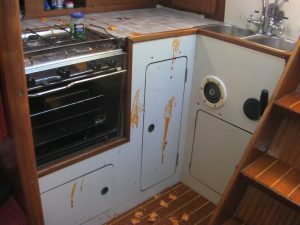 The unpredictable nature of sailing presents real and honest physical, mental and emotional challenges. It is a genuinely life changing experience with many unique learning experiences. Groups will vary between youth from 9-13 year old to 13 -17 year old from a diverse range of backgrounds. Except for day trips there will be no more than 12 students onboard at the time. There will be different legs to a journey on which they can join or they may join for the full length of the journey. The ship would make port several times along the journey. Explorations ashore may involve activities like hiking, camping, outdoor survival skills, cultural insight, educational (museums,..) and other activities depending on the possibilities at each port. 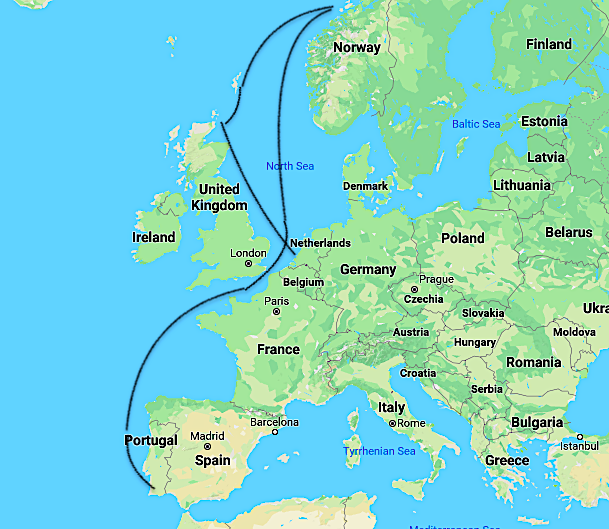 European route: Starting in southern Europe making way north towards Norway,( optional Denmark and Sweden) then over to the Shetland Islands before heading down south along the coast of England towards the Netherlands. 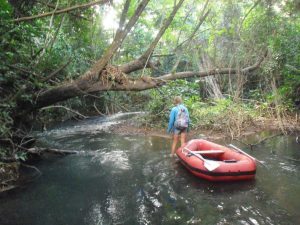 This route is good for students wanting to join on short trips as most places will be well accessible and within Europe, making travel to and from the ship easy. 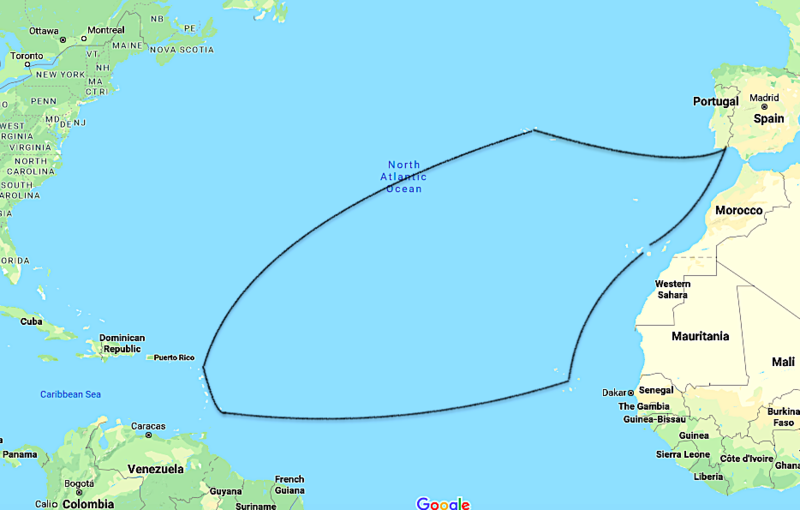 Atlantic route: Starts in Southern Europe, towards Canary Islands - Cape Verde Islands - Atlantic crossing towards southern Caribbean, then heading up north along the islands before crossing Atlantic again stopping at the Azores before finishing back in Southern Europe. This route will be reserved for 13-17year olds and can only be joined as a full journey as the possibilities of leaving and coming of students along this route is more complicated - of course schooling being provided on this trip is a must. It's a great route as we follow the trade winds in the Atlantic and discover places all very different from each other. The two long stretches across the Atlantic will provide for a great opportunity to test, determination and team-work. What we aim to give the students that sail with us. Respect for others, realise everyone is different and that's ok. Learn how to use modern technology in a sensible way, as a helpful tool rather than a necessity. Learn about our environment and how to take care of it. How to achieve their own dreams & goals.